FC Barcelona sent a message that echoed all around the Turkish Airlines Euroleague by downing Olympiacos Piraeus 72-81 on the road at Peace and Friendship Stadium in Group E on Thursday. Barcelona remained undefeated in Group E and improved to 3-0 with its 15th consecutive Top 16 victory. Olympiacos dropped to 1-2 and saw its 10-game home winning streak come to an end. Juan Carlos Navarro led the winners with 21 points. 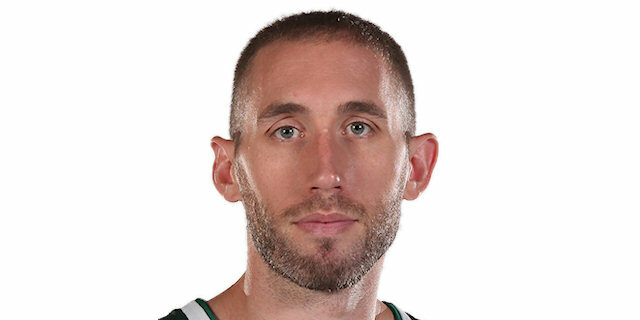 Brad Oleson added 14 for Barcelona. 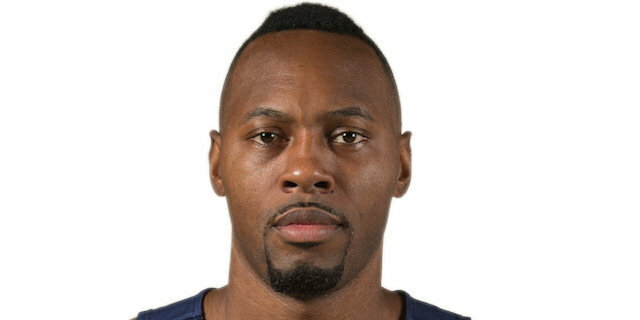 Vassilis Spanoulis and Georgios Printezis led Olympiacos with 17 points apiece. 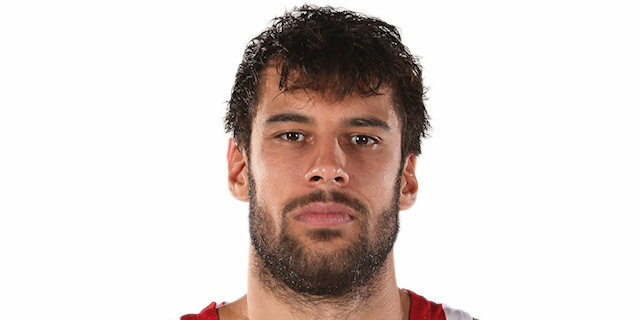 Printezis shined early to give Olympiacos a 23-14 margin late in the first quarter. Five different Barcelona players scored in a 0-14 run which Alex Abrines capped with free throws to give the guests a 23-28 edge. A three-point play by Printezis and a big dunk by Cedric Simmons allowed Olympiacos to regain the lead, 34-32, at halftime. Barcelona found a go-to guy in Navarro, who had 14 points in eight minutes to make it a double-digit game, 43-53, late in the third quarter. Olympiacos managed to get within 66-69, but Oleson followed a three-pointer with free throws to seal a big win down the stretch. Erazem Lorbek got Barcelona going with an uncontested layup, as the visitors kept Olympiacos scoreless for almost two minutes. 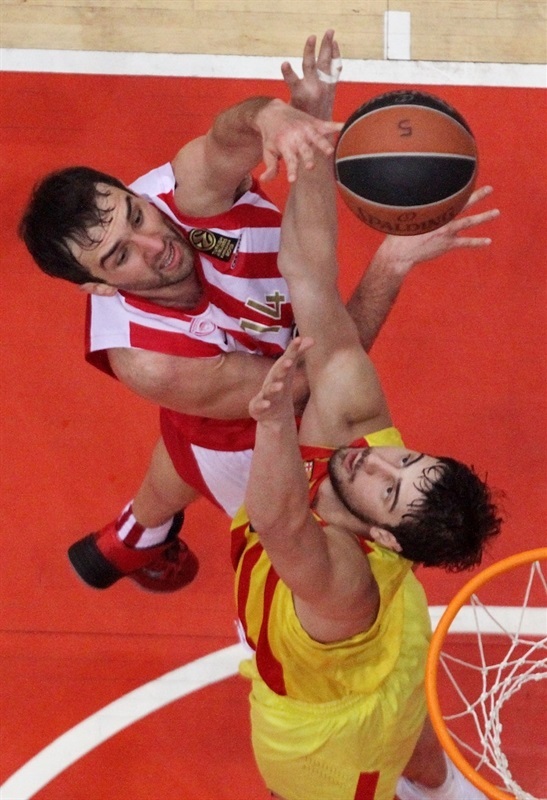 Printezis rescued Olympiacos with a three-point play and a jump hook by Ante Tomic put Barcelona back ahead, 3-4. 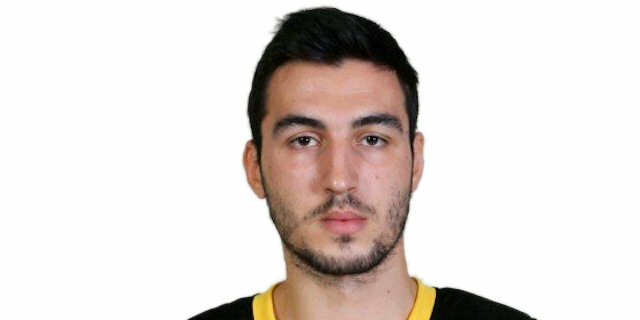 After Mirza Begic scored in the low post, Printezis shined with his trademark catch-and-shoot layup. A six-meter jumper by Matt Lojeski boosted the Reds' lead to 9-4. Marcelinho Huertas took over with a driving layup that Stratos Perperoglou bettered with a triple. Kostas Papanikolaou scored down low and a jumper by Tomic brought the guests within 12-10. 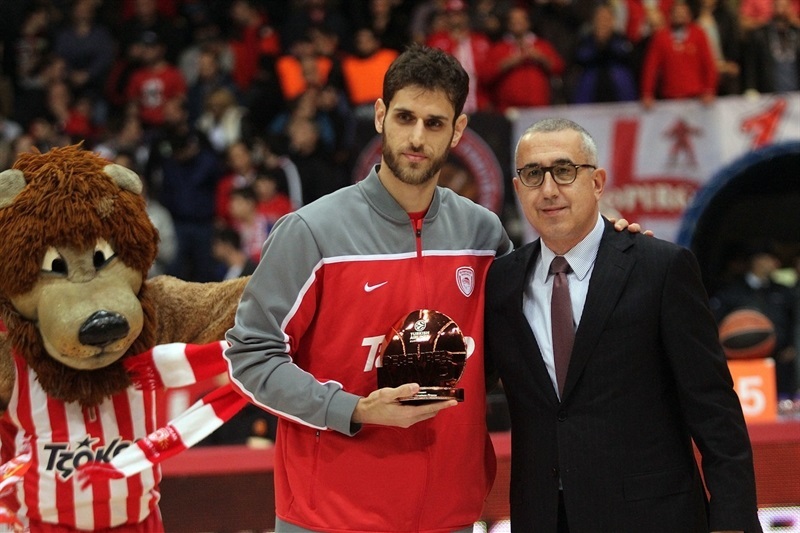 Printezis kept pacing Olympiacos with a tip-in and a driving layup by Spanoulis gave Olympiacos a 16-10 lead. Tomic scored again and Oleson stepped up with a fast break layup. Free throws by Spanoulis restored a 18-14 Olympiacos edge. 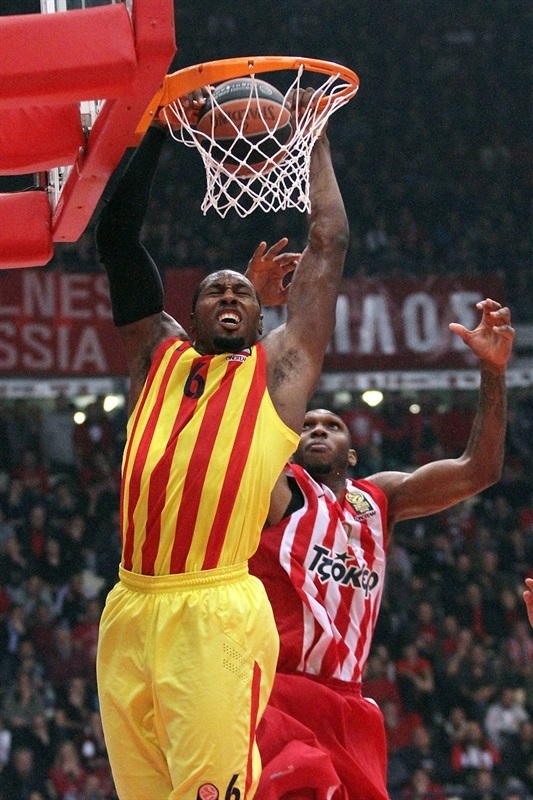 Bryant Dunston hit a jump hook and a three-pointer by Printezis caused Barcelona to call timeout at 23-14. Back-to-back layups by Joey Dorsey and Victor Sada brought Barcelona within 23-18 after 10 minutes. Navarro made free throws early in the quarter, as Olympiacos struggled to score without Spanoulis and Printezis on court. A three-pointer by Abrines and a layup-plus-foul by Bostjan Nachbar put Barcelona back ahead, 23-26, as the hosts called timeout. 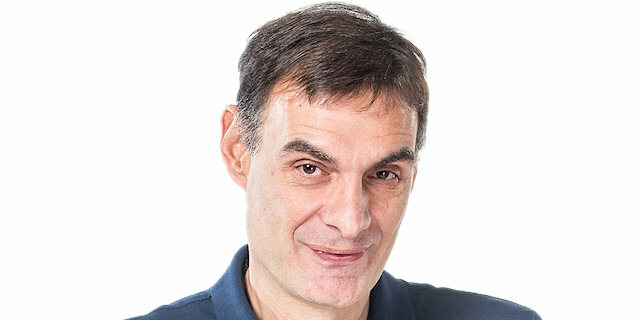 Abrines made free throws to cap a 0-14 Barcelona run. Spanoulis split foul shots and a put-back slam by Simmons ignited the crowd at 26-28. Nachbar stepped up with a put-back layup. 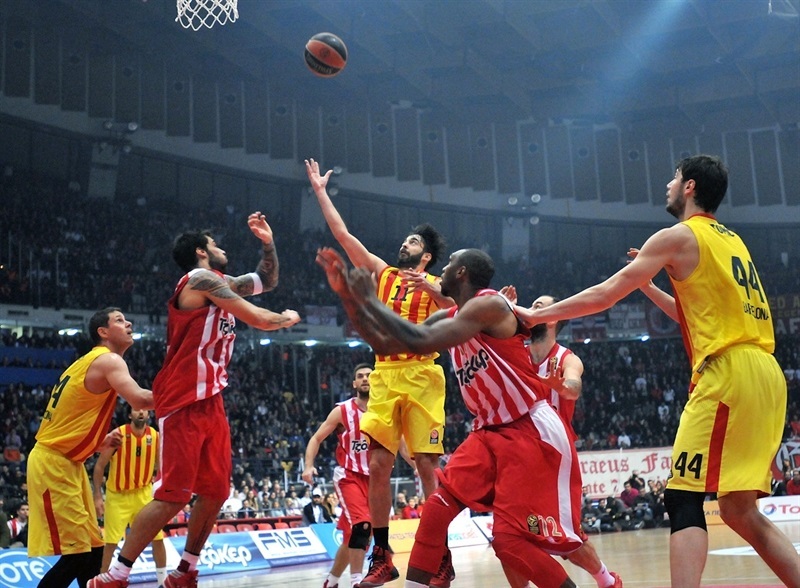 Spanoulis made free throws, but a close jumper by Huertas made it a 4-point game. Olympiacos adjusted its man-to-man defense, not allowing Tomic to play one-on-one in the low post. Meanwhile, Simmons split free throws to get within 29-32. Barcelona tried a taller lineup with Maciej Lampe at power forward, but the Reds were all over the place on defense. Printezis took over with a three-point play and another put-back jam by Simmons restored a 34-32 Olympiacos edge at halftime. Navarro sank a jumper right after the break, as Olympiacos could not find the way to the basket. A three-pointer by Abrines put the guests back ahead, 34-37. 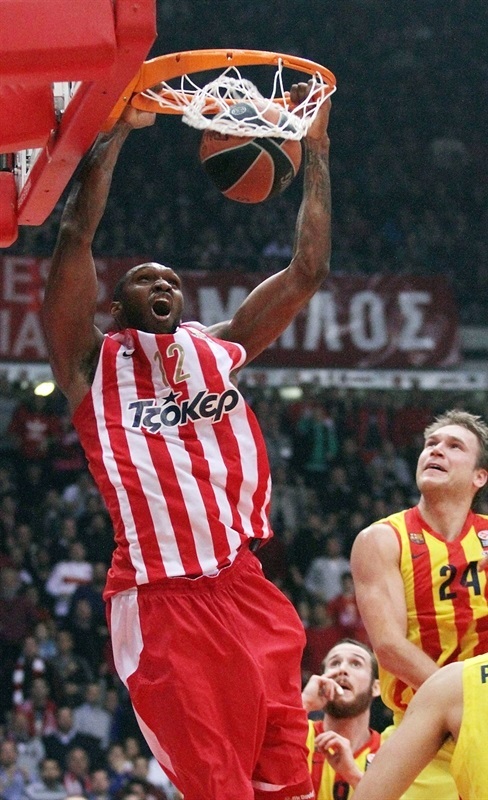 Spanoulis rescued Olympiacos with a driving layup that Lorbek erased with a four-meter jumper. Navarro took over with a 'bomba' and followed it with a jumper to make it a 7-point game. Vangelis Mantzaris downed a three-pointer and Spanoulis banked in a fade-away jumper to keep the Reds within 41-43. Navarro scored in penetration and silenced the crowd with a wild, off-balance triple that boosted Barcelona's lead to 41-48. Olympiacos could not find the way to stop Navarro, who struck again from downtown. Dorsey followed that with a layup to make it a double-digit game, 43-53. Kostas Sloukas tried to ignite the hosts' comeback with a reverse layup that Oleson erased with a driving basket. A three-pointer by Perperoglou fixed the score at 48-55 through three quarters. Dorsey shined with a big slam early in the fourth quarter that Printezis erased with a big basket. 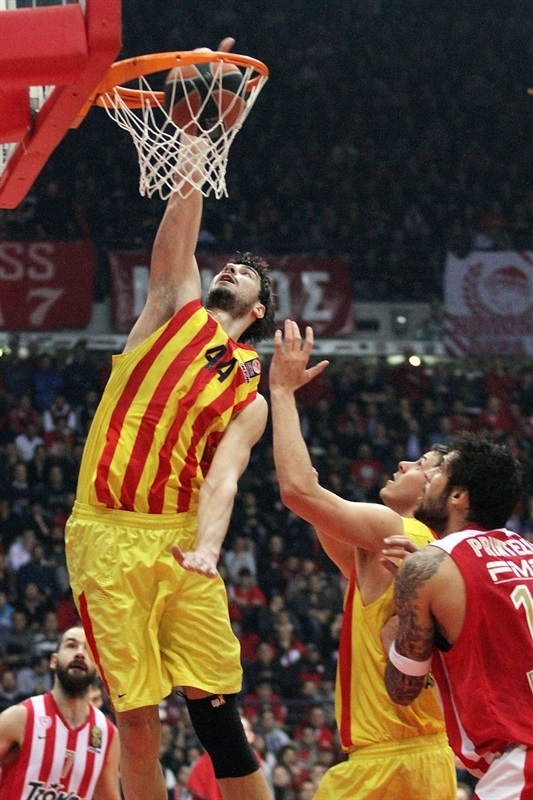 Printezis kept pacing Olympiacos with an acrobatic floater. Oleson stepped up with a three-pointer for a 52-60 Barcelona edge. 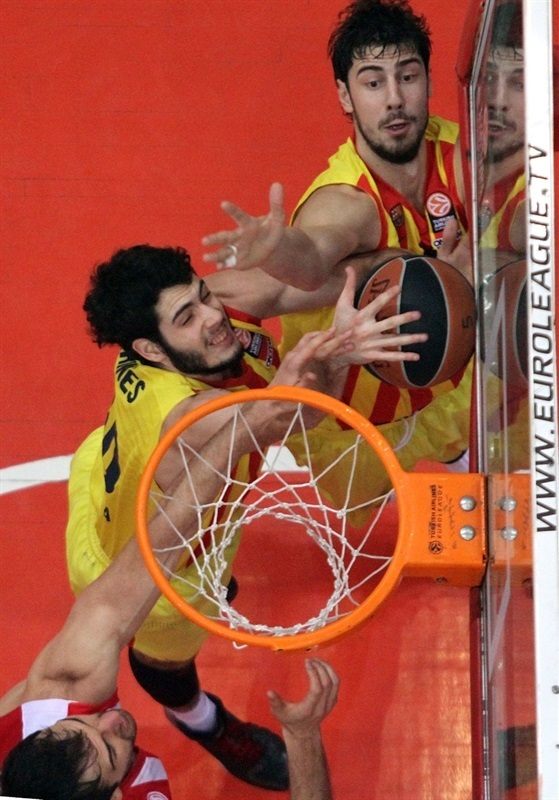 Huertas sank a jumper, but back-to-back baskets by Sloukas gave Olympiacos hope. Tomic dunked only to see Dunston score inside and a free throw by Spanoulis made it 59-64. Lorbek hit a jumper that Lojeski improved on with a corner triple. Dunston made free throws but a three-pointer by Navarro gave Barcelona some fresh air, 64-69. Spanoulis hit foul shots but he didn't find much help around in crunch time. Instead, a three-pointer by Oleson sealed the outcome, 66-72, in the next-to-last minute. Oleson rounded out his great game with free throws, allowing Barcelona to start celebrating a pivotal road win. "Congratulations to Barcelona on their win. Olympiacos made a great effort to win tonight, but it didn’t happen. Juan Carlos Navarro had a big impact on the game in the beginning of the second half, because he gave points and confidence to Barcelona. We have a limited rotation now and this is the reason we played small in some moments and we used a zone defense. With only Printezis at power forward, this small ball helped us, but in the most crucial moments we missed some defensive rebounds. I want to thank our fans for the sell out and because they applauded us, despite their disappointment from the loss. We had the chance to win, but we shot only 30% from the three-point line. Nothing is easy over here and the things change very often. One month ago we were playing great and Barcelona had many problems, but now they have the momentum and since they are healthy and complete they can play their game." "It is always a pleasure to play here in such an amazing atmosphere. We are very happy to beat Olympiacos on the road in a very competitive game. The key was that we put our tempo on the court and especially in the second half we played better. We have several new players, this is the reason we have not had stability so far, but as the time goes by, we grew up. Lorbek and Oleson came back and I hope that we will not have bad luck and injuries as happened last season with Pete Mickeal. " "We fought to win, but details decided the winner. In some moments we lacked energy and because of that we missed shots and didn’t grab crucial rebounds. The road to the Euroleague playoffs is long and difficult. Just to remind everybody that we are now 1-2 and last season we were 1-3 after four games. We won 23 games in a row and it doesn’t mean anything. We now lost two in row and it doesn’t mean anything as well. I can guarantee that we work hard in every practice and we won’t panic." "We started well, but we didn’t manage to keep the margin and they outscored us. Navarro had some big shots in the beginning of the second half and he pushed his team. We had our opportunities to win the game, but it didn’t happen. Now we have to keep trying for better results and the stability needed in such a long competition. " "Basketball is a matter of teamwork and Barcelona is a great team. Juan Carlos Navarro made some really big shots in crucial moments and pushed them a lot. We didn’t play good team defense and it is always bad to lose, especially at home. 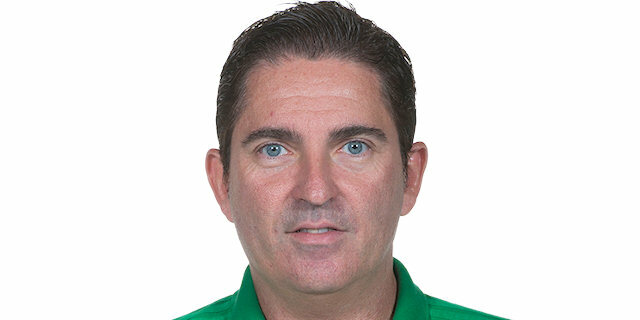 It is too early to be disappointed, but we have to return to practice and work hard in order to improve our game." 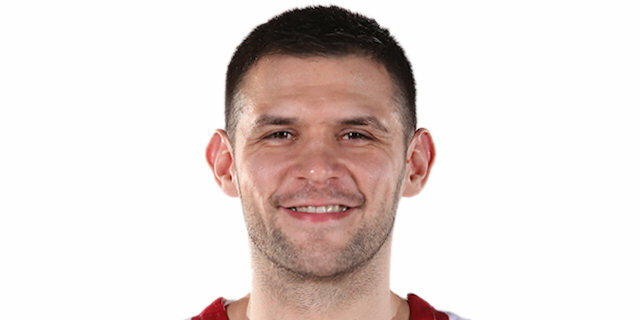 "It is an emotional night both for me and Papanikolaou. I was excited to be back here, see my friends and talk to them, as happened with Spanoulis before the start of the game. I want to thank the club and the fans for their warm reception and the recognition of what I did for their team. They showed me so much love. To beat Olympiacos here is not an easy task and this is a really big achievement for us." "It is very beautiful to return here, where I feel it is my home and I enjoyed such an emotional experience. I have no words to describe my feelings, but I want to thank from the bottom of my heart the club, my former teammates and the fans of Olympiacos for the reception they gave me. They consider me a contributor to the success of the team and this is a great acknowledgment. We got a big win and I think that both of our consecutive victories, tonight and one week ago in Istanbul, are golden ones. However it is too early to make predictions and say that we are in the playoffs, etc. The good thing for Barcelona is that we keep playing the way we planned, including the defensive spirit and the concentration. The Euroleague top 16 is a long, long story and anything can happen until the end."